Grayton Beach offers extraordinary comfort and firm support for a great night's sleep. This hybrid mattress offers a unique independently wrapped coil system and an all-steel double row coil support edge that work together to provide all-around support—something not found in most value-engineered hybrid mattresses. The quilted knit cover, high-density firming pad and a high density gel memory foam lumbar layer provide additional support and pressure point relief, especially for your back. The underlying coil system helps to reduce any motion felt on the surface. 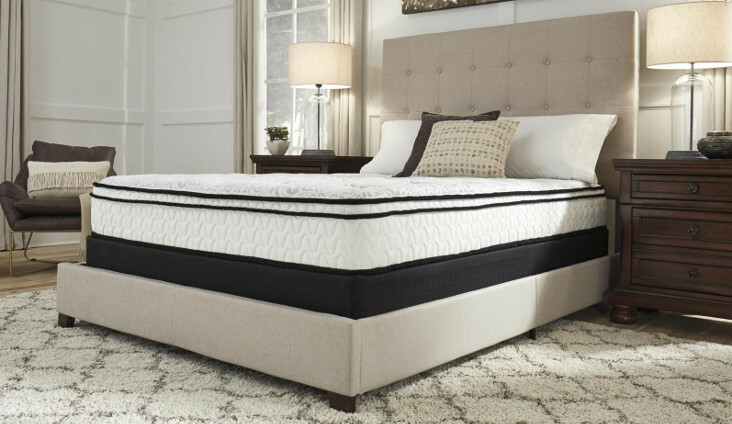 It’s an exceptionally good choice for those wanting a combination of traditional firm support and the modern comfort of memory foam. Foundation/box spring available, sold separately.